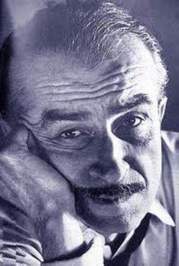 Orhan Kemal, (Mehmet Raşit Öğütçü) writer of short stories and novels was born in Adana in 1914 and died in Sofia in 1970. His father, Abdülkadir Kemali, was an MP from Kastamonu during the first term parliament of the Turkish Republic. Abdülkadir Kemali, a lawyer by profession, established The Ahali Party which was dissolved causing its founder to have to flee to Syria. In order to accompany his father, Orhan Kemal had to miss his final year of secondary school. Orhan Kemal stayed in Syria for a year, returning to Adana in 1932. He worked as a laborer, weaver and clerk in cotton gin mills. During his military service he was sentenced to 5 years imprisonment for his political opinions. Bursa prison became a turning point in his life and art Orhan Kemal, (Mehmet Raşit Öğütçü) writer of short stories and novels was born in Adana in 1914 and died in Sofia in 1970. His father, Abdülkadir Kemali, was an MP from Kastamonu during the first term parliament of the Turkish Republic. Abdülkadir Kemali, a lawyer by profession, established The Ahali Party which was dissolved causing its founder to have to flee to Syria. In order to accompany his father, Orhan Kemal had to miss his final year of secondary school. Orhan Kemal stayed in Syria for a year, returning to Adana in 1932. He worked as a laborer, weaver and clerk in cotton gin mills. During his military service he was sentenced to 5 years imprisonment for his political opinions. Bursa prison became a turning point in his life and art work as he met Nazım Hikmet who greatly influenced him. On his release in 1943, Orhan Kemal, moved to Istanbul (1951), where he worked as a labourer, a vegetable transporter and then as a clerk for the Tuberculosis Foundation.From 1950 onwards he tried to live upon the income gained from writing. Orhan Kemal died in Bulgaria. His body was returned to Turkey and buried in Zincirlikuyu cemetery.